It’s being reported that the Costa Victoria cruise ship which is operated by Costa Cruises had a passenger protest on Thursday due to the ship missing a port of call in Vietnam. The port in question was Halong Bay and the ship was unable to dock because of a sunken barge according to the Hong Kong Standard. About 300 guests had refused to disembark the vessel once it arrived back in Hong Kongs Victoria harbor. The protest lasted 17 hours. The tour company Miramar Travel apparently escalated the situation by not offering enough compensation for the port cancellation. The tour company were also very rude to the passengers accusing them of being money grabbers the South China Morning Post reported. One guest reportedly had thrown American dollars at one of the Miramar representatives the site reports. 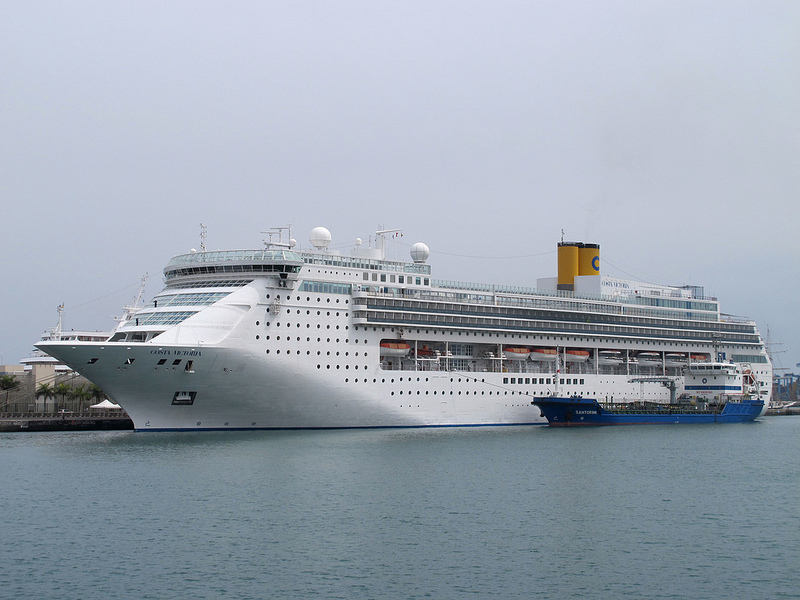 Costa Cruises offered $340 Hong Kong Dollers but the tour operator offered no compensation at the time. In the end the angry passengers disembarked the vessel at around 10:30pm. After having discussions with a Manager from the travel operator it was already Midnight with only about 20 passengers remaining. The next cruise which was schedule to depart Hong Kong on the same day was delayed. Several sites are reporting different times and details about the situation so hopefully will be able to amend the report shortly.